Welcome to November! Anyone as excited for Thanksgiving as I am? You are? Awesome! If you’ve been following me on Instagram, you may have seen that I’ve just kicked of #pievember. It’s a month of sharing awesome pie recipes and pie inspiration. It’s been a blast so far and I’m just getting going. One of my favorite pies is Key Lime. It’s light, it’s refreshing, and it’s probably one of the easiest pies to make. 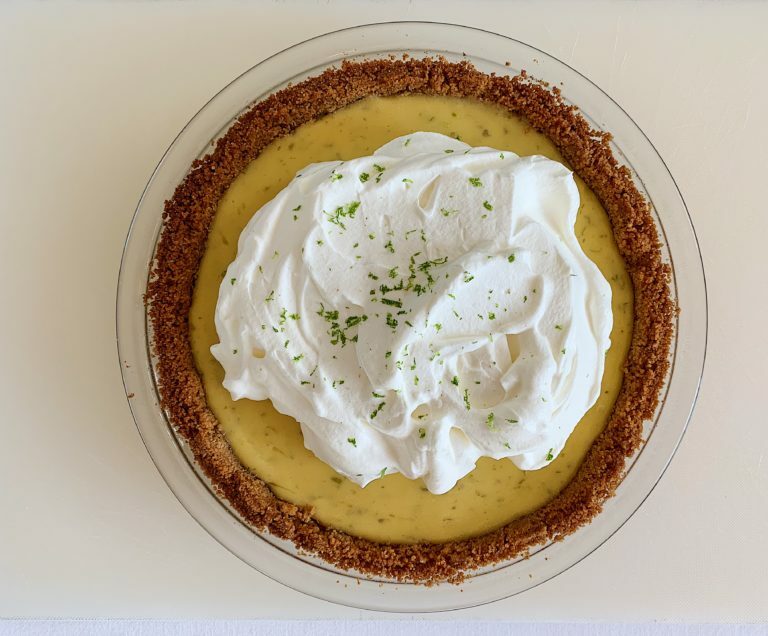 This recipe just happens to be America’s Test Kitchen’s Key Lime Pie recipe. I’m sharing it because it is amazingly simple, has only a few ingredients, and everyone loves it. There is really no way to improve this thing. One of the best parts about this pie is that you can even make it a day or two in advance. 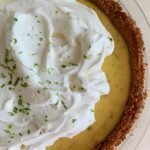 Just hold off on topping the pie with the whipped cream closer to the time when you’re going to serve it, and you’ll be good. 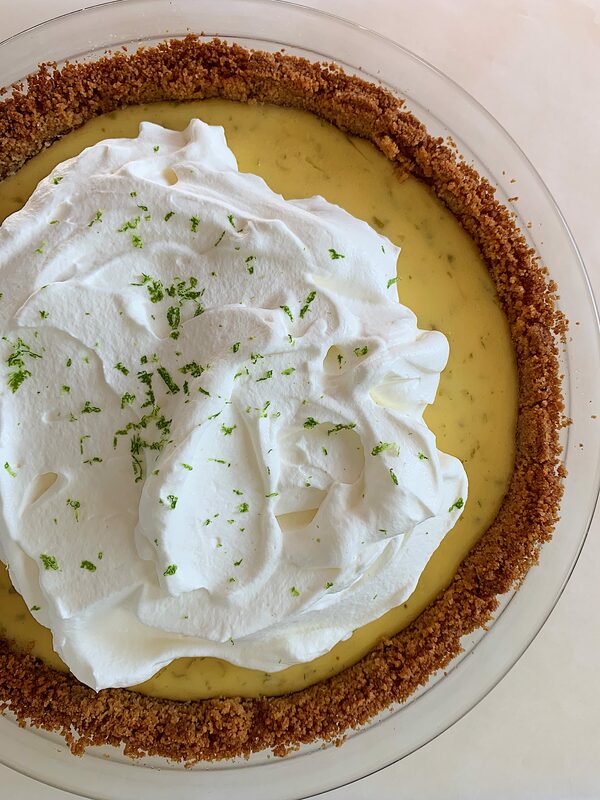 And no, this pie doesn’t actually use key limes. One reason why is because they’re usually hard to find. Another reason why is because persian limes (the limes usually found in the grocery store) are a lot easier to juice. I’ve never heard of anyone complaining about not actually eating key limes, so here we are. I’m so excited for you to try this pie! Cool, creamy, and refreshing--what more could you want from this classic? It's so easy, too! In a bowl, combine the egg yolks and lime zest. Whisk together for 2-3 minutes until the mixture turns a light green color. Add the sweetened condensed milk and stir until combined. Add lime juice, and stir until combined. Cover with plastic wrap and set aside for 30 minutes at room temp to allow the mixture to thicken. Start working on the crust. In a food processor, add the sugar and graham cracker pieces and pulse until there are fine crumbs. Slowly add the melted butter and pulse until just combined and there are no dry crumbs. Press the crumbs into a 9" pie plate. Bake until the crust becomes fragrant and lightly browned, about 13-15 minutes. Remove the pie plate from oven and pour filling into the crust. Smooth out the filling with an offset spatula, and return back into the oven for 10-15 minutes or until filling is firm but still jiggles slightly. Let the pie cool at room temp for about an hour, then cover with plastic wrap (be careful not to let the plastic wrap touch the pie filling or it will stick). Refrigerate for about three hours or until the filling is set. Whip the cold whipping cream either in a stand mixer with whisk attachment or with a hand mixer. When the whisk starts to leave trails in the cream, add the powdered sugar and whip until it is stiff. 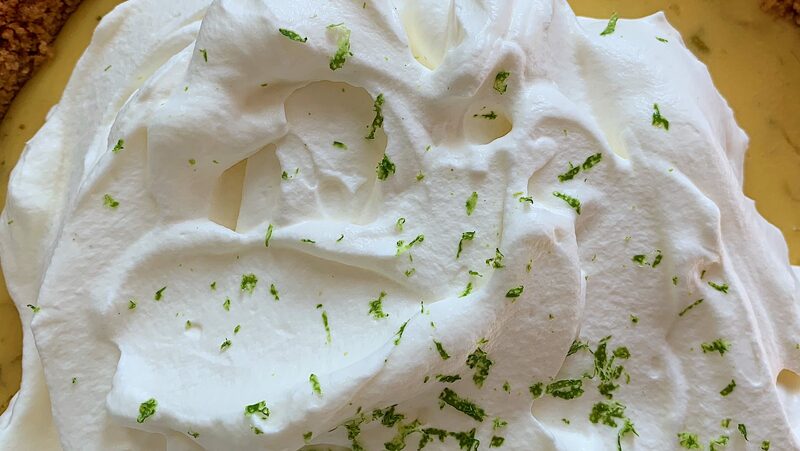 Smooth over the pie and serve with additional lime zest for garnish, if you'd like. Enjoy! --recipe modified from this one by America's Test Kitchen.